NJroute22.com will be organized in a multitude of ways. Insomuch that you can focus on a town, county, road, or region. We have also put in various topical categories as well. NJ Route 22 (Eastern). This is the area from the start of Route 22 in Newark, NJ – about 21 miles west to the Mountain Ave. area in Bound Brook. This is the most densely populated section, as well as with the most retail outlets. It’s also the slowest in terms of travel time, due to the multitude of traffic signals and overall vehicular volume. Our main objective in this region is to find diamonds in the rough. Because most regular visitors on this stretch are probably already set in their ways and routines. And travelers just looking get to their destination further to the east or west of this stretch will likely take faster routes. We’ll try to find ways to hit up this area on purpose. Good luck to us! NJ Route 22 (Central). This is the area from Mountain Ave. in Bound Brook to the Clinton Station Diner in Clinton, NJ. About 23 miles – and includes a three and a half mile portion of Route 78. We chose this mid-point so we can fully include Clinton into the Central portion of NJroute22. As you can read in the encyclopedia entry of Route22, it runs on top of (concurrent with) Route 78 much of the way. 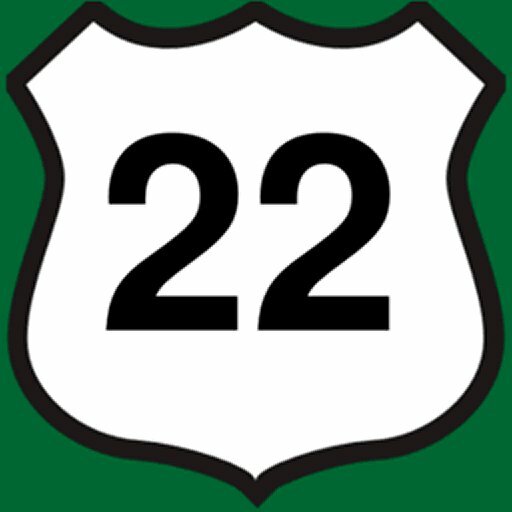 This is probably one of the primary focal points as we add content to NJroute22.com because we feel it’s the most well-balanced of the three geographical sections. “A little bit of this and a little bit of that.” You have density and relatively easy access. Had to draw the line somewhere! NJ Route 22 (Western). From the Clinton Station Diner – all the way to the Easton-Phillipsburg Toll Bridge in Phillipsburg, NJ is about 16 miles. A majority of this section is “technically” Route 78, with less than five miles being Route 22 all by itself. It features Greenwich Township and Phillipsburg as the main anchors of this region. However, much focus on the Western section will be devoted to what is off the highway more. Such as Route 173 (which is actually the “old” Route 22). We will also include several areas on the eastern border of Pennsylvania, including Easton, Bethlehem, and even Allentown if we feel up to it. If you click any of the above regions (also accessible via the menu above), you will find ALL content which relates to those particular regions. You can also call them “thirds” of NJ if you want. What offshoots of Route 22 are you going to include? One thing you can say about NJroute22.com is that it is NOT your ordinary neighborhood site. The three regions we just classified above aren’t necessarily compatible with one another. For instance, someone anchored in the western region of 22 (say, Phillipsburg) will rarely venture out to the eastern region (like Springfield or Plainfield). Just not convenient most of the time. However, you will see cross-compatibility between adjacent regions. Eastern dwellers will often visit the Central region. Western locals will also head to the Central zone. And those in the middle (Central) region will often go to both the Eastern and Western spots! Additionally, MANY people traverse Route 78 across the state and will pass “over” the areas we cover. While Route 22 dives quite far south at some points (often a 20-minute drive off Rt. 78), there are plenty of good reasons to take an exit and explore. We hope you enjoy our endeavor here! Besides the geographical categorization that we plan on discussing – there are many other subjects that both overlap and go beyond simple regional classification. Call them “general categories of interest.” Life. Economy. Food for thought. And all the other subjects that encompass living or traveling near Route 22. Naturally – you’ll see your typical groups like restaurants, shops, and other businesses. Pretty standard. NOT mainstream anything, no robots, just humans! Keep in mind NJroute22.com isn’t some “data mining” operation where businesses are automatically loaded from some database (like Yelp or other billion-dollar social schemes). Nor is any foreigner from halfway around the globe going to be performing data entry. This website is being grown organically. Sure, there may be some fancy Google maps here and there – but only because our alternative choices were severely limited. Additionally – we will be putting most of our effort on this WEBSITE – and not as much towards social media – other than telling people that we’re here. One thing we’ll strive NOT to be is an overly divisive online property. While we lean towards “live and let live,” and tend to prefer simplicity and freedom over complications and control – we’ll try our best to let you decide. Beyond that, we think it’s fair to expect members of society to have a decent amount of common sense and logic. And when things fall enough out of those realms, we will opine about them. Without apologies. We are not shy about having our own personal viewpoints about the real world, and frankly, will never dance around issues in order to coddle or protect anyone. That is collectively self-destructive and counter-productive when it comes to further advancing our civilization. Lastly, we’re big on observing trends and patterns. Whether it is things that happen suddenly, or over a long stretch of time. So if you’re a good societal observer, please feel free to email us at njroute22@gmail.com with your ideas, tips or suggestions. Maybe we can even meet up for a cup of coffee!